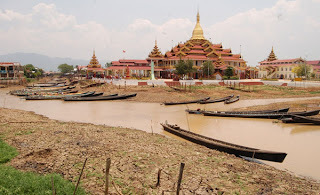 A well known as a beautiful lake which brings most tourists’ attraction, Innlay Lake, in Taunggyi, the capital city of Shan State is facing water level decreased. The water level of Innlay has been decreasing since last year and this year, it has made ferryboats difficult to travel as the water level has gone down significantly, said local sources in Innlay. Its tributaries are also very low, and some places become sand bank, making travelers to walk a long distance to the ferryboats. 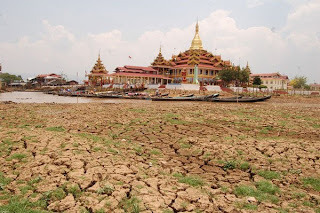 The travel path to a well known Buddha image, Phawng Taw Oo, is also dried up, said a ferryboat owner. “Visitors have to walk for about 10 yard to get there now. Before we can send them directly,” he said. 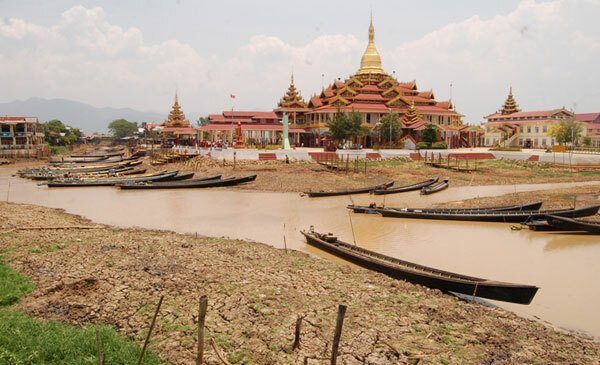 In the meantime, other parts of southern Shan State are also facing the same problem as Innlay lake. Lakes, rivers and wells in villages and towns in southern Shan State are dried, resulting people facing water shortage. A resident in Taunggyi said water price in the town has been increased dramatically since the water crisis began last year and now more and more water prices go up as the water is continuing to dry. Some places, there was no single drop of rain even though it was during the rainy reason, said a villager in Loilem. “Not only water in the wells is dry but also water in the rivers”, he said. Almost all of villages in Southern Shan State were unable to grow their crops and paddy because there was not enough water. This situation has been obviously getting worse within the last year. People are mainly relying on agricultures and farms, growing groundnut, soya beans, onion and garlic, he said. 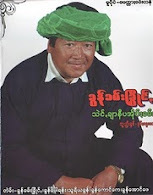 A similar situation has happened in Rangoon even though it is a different problem. “Due to electricity supplies have been fickle; people are unable to get water”, a local source in Rangoon said. Shan environmentalist blamed the military junta for neglecting on the environment and exploiting the natural resources in Shan State. The problem today in southern Shan State is caused by industries such as hydropower projects and wood traders. Almost all of the trees in Shan State are exhausted, said Sai Khurh Hseng, a Shan environmentalist based in Chiangmai, Thailand. Comparing to neighboring countries, Burma has few industries. But the main cause in Burma is that the military junta has used the tree for its own profits. Cut them down and sell them to China and Thailand, he said. Big trees in Loilem are being cutting down every day by wood traders. They are who have received a teak permit from the junta authorities, a local source in Loilem said. Trees in Shan State are cut not only for selling but also for poppy cultivations and these poppy cultivations are shifting to new place every year, he said.